As promised in my post last week, here are some practical guidelines for getting started with your new Master Bedroom. 1) BUY THE BEST MATTRESS YOU CAN AFFORD. I have had wonderful luck with Tempurpedic. I like their Cloud. Do your own research. This is an investment, and worth your time to get it right. If you have a queen size mattress currently, and want a little more room, don’t miss trying out a California King. The proportions are so much better than a regular King, and I don’t know why they aren’t more popular. A California King is 4″ narrower and 4″ LONGER than a standard King. California Kings are fully 12″ wider than most Queens. 2) LET THERE BE LIGHT. OR NOT. Natural light is a must for our emotional well-being. If your bedroom has dinky windows, consider elongating them. If you have access to the outdoors, consider installing French doors. You will love having access to the outdoors on pretty days. Yes, this is an investment. 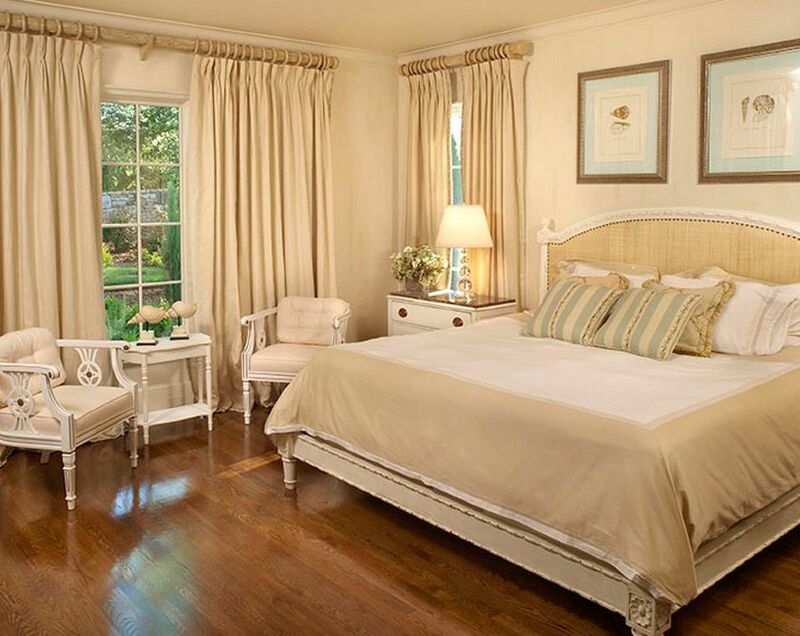 Your master bedroom is the most important room in your house for your peace of mind. So, don’t put it at the very bottom of your wish-list. Your bedroom draperies should be on a draw-rod, not the kind on rings which must be pushed and pulled by hand across the rod. They should be lined and interlined for privacy, and should also have black-out lining to control the morning light. You will spend over 1/3 of your life in bed. I consider quality sheets a necessity. I personally like either Matouk or Sferra though there are certainly others that are wonderful. Some designers swear by Soft Sheets at Target. I am not one of them. I buy my Sferra sheets for a great price at Tuesday Morning. You have to be diligent now, because it has gotten harder to find them. I like the embroidered ones. The ones I have all say “Hand Embroidered” on the hang-tag, but skeptic that I am, I do think they are machine embroidered. Still, they are gorgeous, they feel so crisp/soft, and my house guests almost always comment on them. There is also now an on-line sheet section on their website. 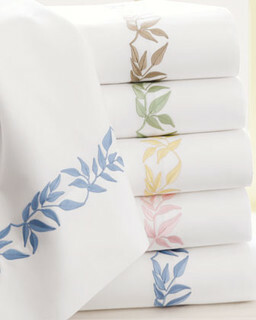 I buy my Matouk sheets at the Matouk Outlet in Fall River, MA. It can be hit or miss there, but lately I have been hitting. This is an in-person proposition only. No phone or internet orders accepted. They have some truly amazing deals if you are ever in the area. Use fabric softener to keep your sheets soft. And, have your pillowcases and at least the top of your sheet, ironed. It is worth it. Oh, and in case you don’t know this, NEVER wash your sheets with towels. That is what causes pilling. and spray lightly on your bottom sheet after you have put the bottom sheet on the bed. Smooth by hand. Spray and smooth some more. This works. Matchy matchy = Good, sometimes. This is one of those times. On the same visual plane as each other, even if you have non-matching bedside tables. You can use pretty books to raise the lower lamp if needed. One of my pet peeves is dinky lighting by a bed. If your bedside lamp isn’t 28″ (at least) from top to bottom, it is likely not proper height for reading at bedside. I like my lamps with regular incandescent 3-way bulbs. Stock up. I hate those new snakey, one-second-pause-before-working, bulbs, otherwise known as CFL. They throw out the most horrible excuse for lighting. due to concerns about their energy usage. Just don’t feel too smug if you are using them, I personally think they are far more dangerous to your person. If you break one accidentally, you will have one big toxic problem on your hands. 5) WALL TO WALL carpet or big room-sized rug. and going for a small rug by each side of the bed only. a dark highboy, and a pair of dark matching bedside tables. A good residential stylist can advise you how to update your existing pieces or guide you if you need new furniture. Bedrooms today are much lighter in their look and feel. in your Master Bedroom space. A chandelier is 100x better. Put it on a dimmer. A nice side chair or a lounge chair (or a pair) is terrific for so many reasons. It is nice to sit in a proper chair when you are zipping up or pulling up boots, lacing up your tennis shoes, etc. 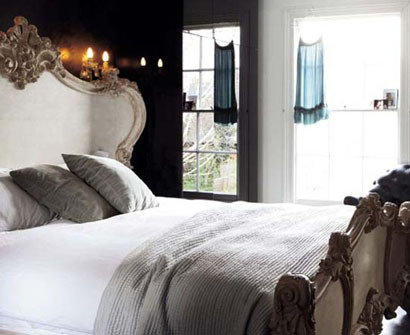 A chaise longue is ideal and can be visually pleasing as well as versatile. Of course, make sure you have a lamp beside your chair. until you are actually ready for sleep. 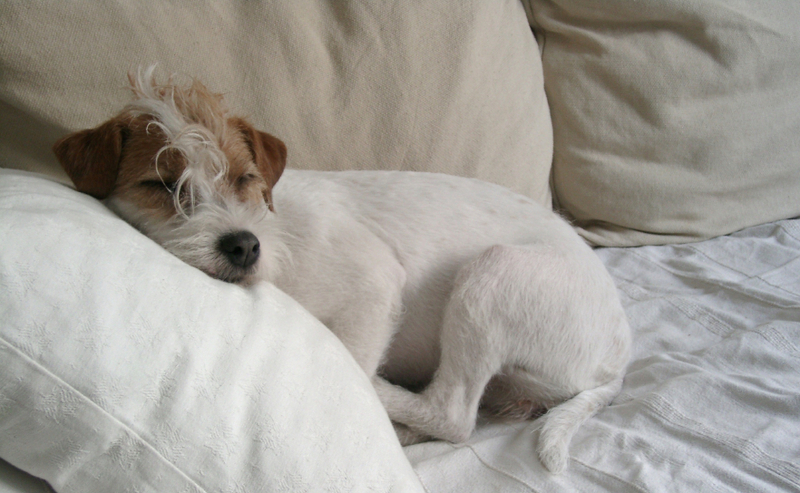 A bedroom lounge chair can help the transition from awake to asleep. I am unlike many in that I truly hate television. As I have gotten older, I see how addictive and utterly useless it is, and what a time waster it can be. I do enjoy watching my Crimson Tide football team play (RTR!) when I can’t make it to the stadium. And, Downton Abbey. Don’t even get me started. But, other than that, I almost never turn the television on. Yes, it is hard to give up a master tv if you are used to it. You may not be able to give it up. But, if you don’t have one, may I suggest keeping it that way? Television is not conducive for conversation. Television programs are certainly not relaxing these days. Your master bedroom should be a sanctuary and an oasis of calm. You will assuredly sleep better with no television to distract or disturb you. 10) Only Non squirmy/non-whiny pets on the bed. You may have to crate the squirmers and the whiners elsewhere. They really won’t mind after the first few nights. YOUR sleep is more important than giving in to squirminess, so stand firm. Don’t feel guilty about this. instead of giving them so-called doggy valium. Works wonders on my dogs. So, those are my top 10 for a master bedroom. Any thoughts or additions to the list? Fire away! This entry was posted on October 29, 2012 by Ellen at Color Calling. It was filed under Decorating trends, lamps, Residential styling, silk shades and was tagged with bedroom chandelier. Crimson Tide, black out lining, California King, ceiling fan, CFL bulb fail, draw drapery, Matouk, mattress, Sferra, sleep, Tempurpedic. One of your best! Passed this on to my girls since they will all be moving soon and will hopefully take your bedroom decorating advice to heart!